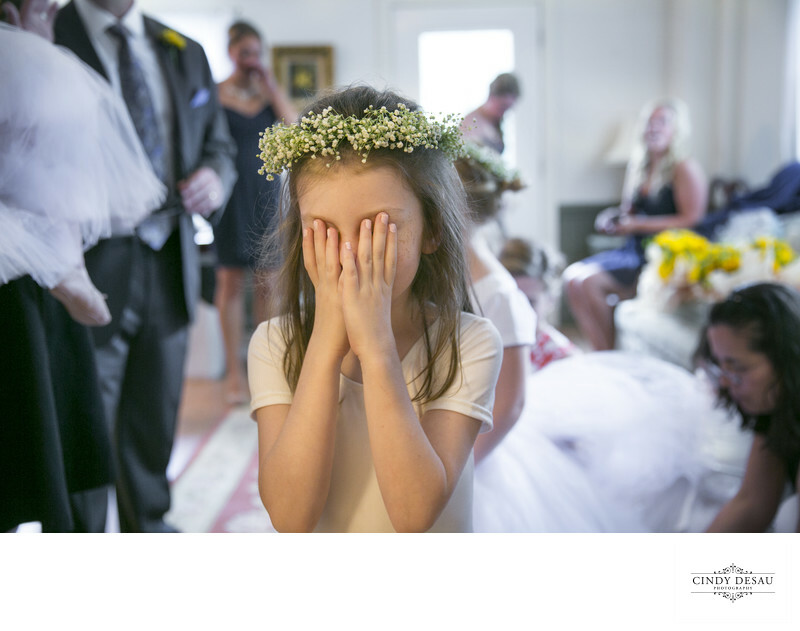 The Wedding Day Suspense is Killing this Flower Girl! This littlest member of the bridal party was so excited to see the bride for the first time she completely covered her eyes in anticipation. I think the suspense was killing this flower girl! I find the time in the bridal suite before a wedding lends itself to some unusual and wonderful candid images, especially when children are involved. Do you love her crown of baby’s breath as much as I do?